Kodak T-Max Fixer is a hardening rapid fixer. Specially designed for use when developing Kodak T-Max films. This is a liquid concentrate that you dilute with water for use. Making it is easy and convenient to use. Kodak T-Max film takes more fixing than most other films. It needs twice the fixing with regular fixers. Therefore, using T-Max Fixer helps reduce you fix times, and wastage. It can be used for fixing other types of film and paper too. You might notice different fixing times compare to other developers. 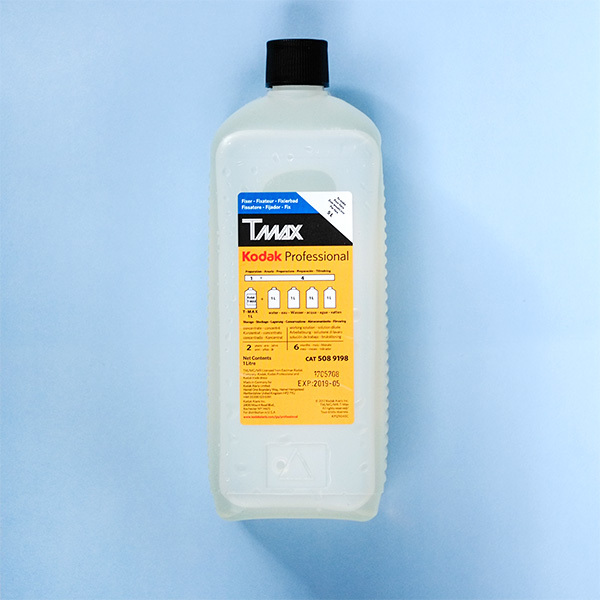 To prepare your fixer, dilute T-Max Fixer 1+4. That means one part fix to four parts water. Make sure you mix together thoroughly before use.